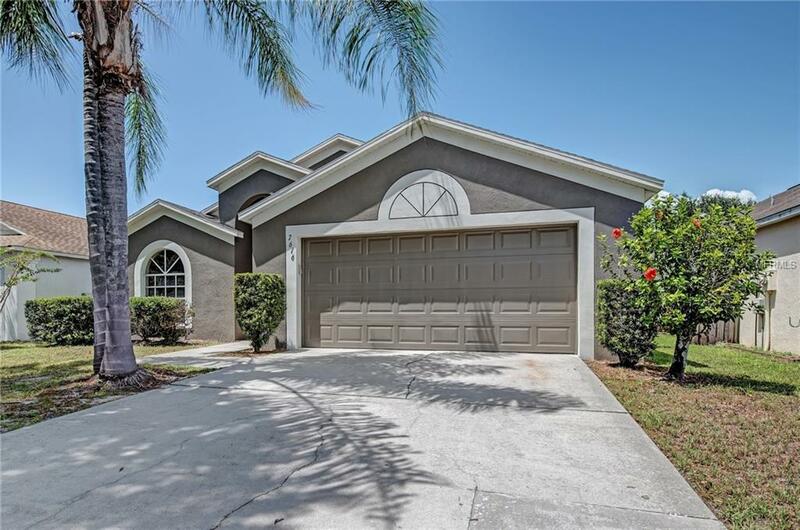 Beautiful 3 bedroom WITH A DEN/OFFICE home in Apollo Beach home located close to schools, and I-75. Less than 10 miles from coast, marinas, and Apollo Beach preserve. Large Eat In Kitchen off entry with breakfast bar, new granite counter tops, matching appliances, and pantry. Elegant Formal Dining area off kitchen. Open newly carpeted Great Rm/Family room with vaulted ceiling. NEW neutral 2 tone paint throughout. Generous master bedroom includes en suite bathroom with soaking tub, dual sinks, exit to patio, & Walk-in Closet. Screened in Lanai Overlooking Nicely Landscaped, Privacy Fenced Backyard with mature trees. Definitely a must see! !